"This is the music you don't want your parents to hear." Rolling Stone has debuted the first trailer for an indie rock doc titled Murder in the Front Row. Or rather, in full: Murder In The Front Row: The San Francisco Bay Area Thrash Metal Story. The doc is, as the title indicates, about the rise of the thrash metal scene and the bands that played to wild crowds. "These are just good stories, and they are very human stories," says director Adam Dubin. MITFR follows the story of a group of young kids in Northern California with a shared passion for heavy rock bands like UFO, Iron Maiden and Motorhead. "All these bands were mainly from England, and they never really toured the West Coast… So these young people started creating their own music, starting their own fanzines, booking clubs and trading tapes. These were people who were adamant about music and the bands, but also each other." Featuring interviews with Metallica, Megadeth, Slayer, Anthrax, Exodus, Testament, and many others. With narration by Brian Posehn. Rock out below. In the early 1980’s, a small group of dedicated Bay Area headbangers shunned the hard rock of MTV and Hollywood hairspray bands in favor of a more dangerous brand of metal that became known as thrash! From the tape trading network to the clubs to the record stores and fanzines, director Adam Dubin reveals how the scene nurtured the music and the music spawned a movement. Murder In The Front Row is told through powerful first person testimony and stunning animation and photography. The film is a social study of a group of young people defying the odds and building something essential for themselves. 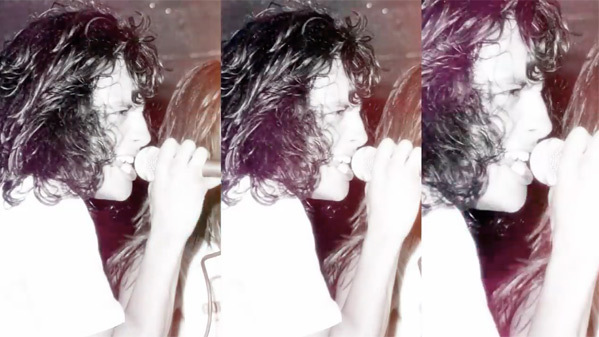 Murder In The Front Row: The San Francisco Bay Area Thrash Metal Story is directed by American filmmaker Adam Dubin, of classic Beastie Boys music videos "Fight For Your Right To Party" and "No Sleep Till Brooklyn", plus many other rock videos and the doc film Live Evolution previously. The doc film is premiering in April in San Francisco, but doesn't have an official release date set yet. Stay tuned. Who's in?